I’ve been a long time Weezer fan, all the way back to their debut album [also known as the Blue Album] released in 1994. Songs like “Buddy Holly” “Say It Ain’t So” and “My Name Is Jonas” all stuck to me like glue. Sure, it was quirky and maybe a bit out of my age range, but I enjoyed their sound. 2009’s “Raitiude” didn’t do much for me. It seemed like it was rushed and didn’t have that cool sound I’ve grown to like. Thankfully, they issued this year’s “Hurley”, which for me, was a return to greatness. Yes, I tired of hearing the first single “Memories”, but other tracks like “Ruling Me”, “Unspoken” and “Hang On” all exceeded my expectations. Rivers Cuomo, that odd-like creature who leads this band, came through for this long time fan. Have you heard the new album? Are you a Weezer fan? Speak to me. Yes, I knew you liked Weezer a lot. Weezer is one of those fun bands with a catchy sound. The first time I heard of Weezer I’d just bought a Packard Bell P60 PC of some sort. They had a Weezer video on the drive as part of the multimedia features. It was the one that had a Happy Days theme. Could have been ’95 or ’96. They seem to have found a resurgence the last few years, releasing albums on a yearly schedule. Hazel is a huge Weezer fan. I do like them, in that I gladly listen to them on car rides when she wants to listen, I just don’t have any of their albums in my own music library. Should fix that. They do have a good sound for everyone. I’ll be curious to hear your thoughts on the latest album. I love Weezer and discovered them pretty much the same way Delmer did. 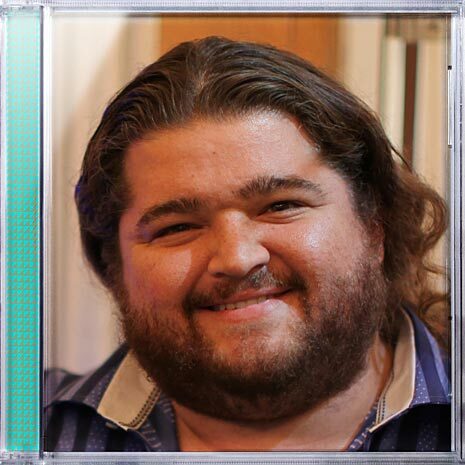 But you do realize that “Hurley” is not even their most recent album, right? They have another one out now. “Death to False Metal” came out last week. Sure, it’s technically a comp album since it contains all unreleased material that never made the first seven albums, but it’s still pretty much new to all of us so, in my mind, that makes it a new album. Yeah, I had seen their latest album of B-sides and compilations. I will most likely get that one here soon.